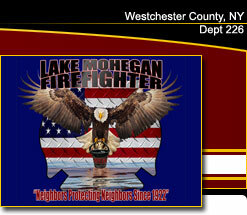 Tonight Thursday 4/19/18 at approximately 7:10pm, Mohegan FD was dispatched to Maqua Pl in Mohegan Lake for a reported structure fire. 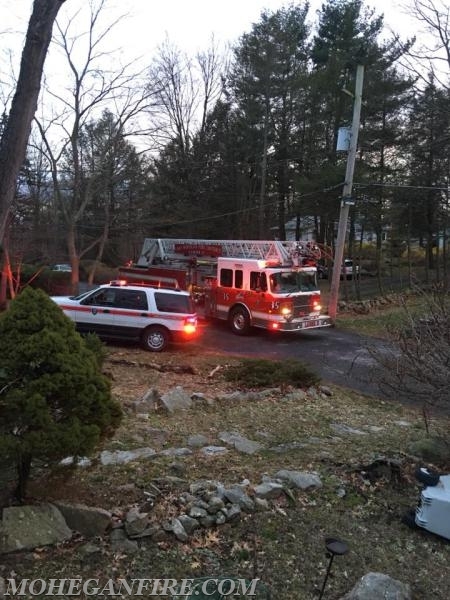 While units were enroute, 60 Control (Westchester County Dept of Emergency dispatchers) updated that the fire was possibly extinguished by the homeowner. Upon arrival, members found an exterior fire mostly extinguished by the quick thinking of the homeowner who used his garden hose. 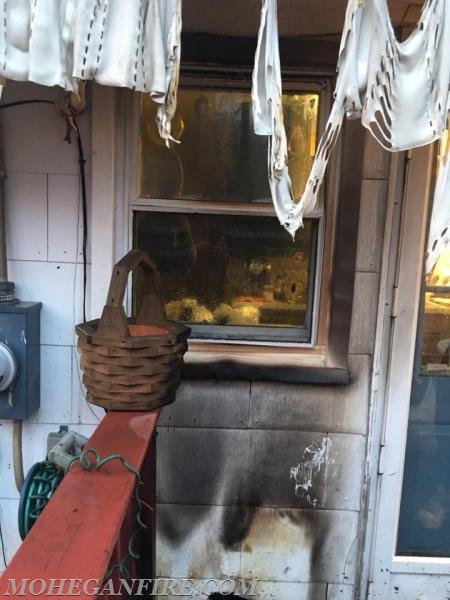 Members extinguished the remaining fire using the garden hose and began to overhaul and check for extension using a thermal imaging camera, both on the interior and exterior. 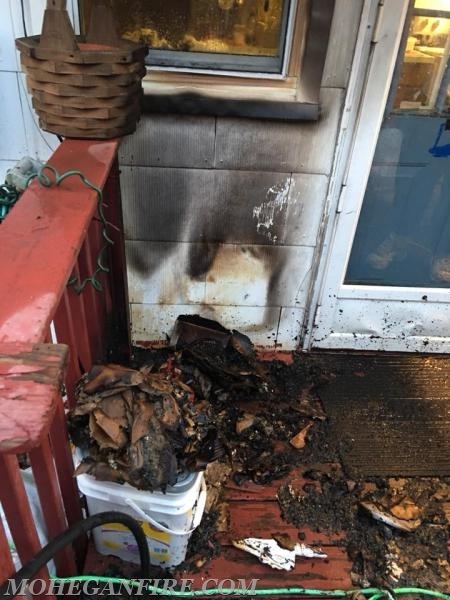 The fire was held to the deck area, exterior siding, and soffit area due to the homeowner's fast actions. 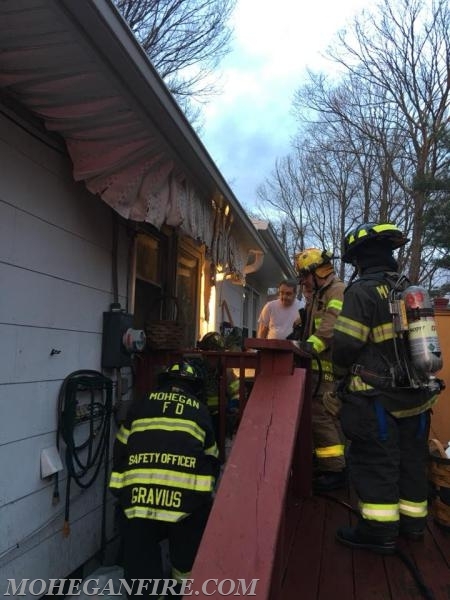 No further fire extension was found and it was determined that a improperly disposed cigarette ignited a cardboard box and papers on the deck area. 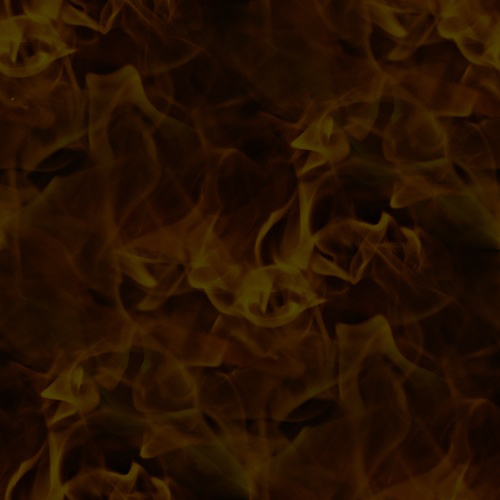 We would like to remind everybody to properly dispose of lit cigarettes to prevent fires. 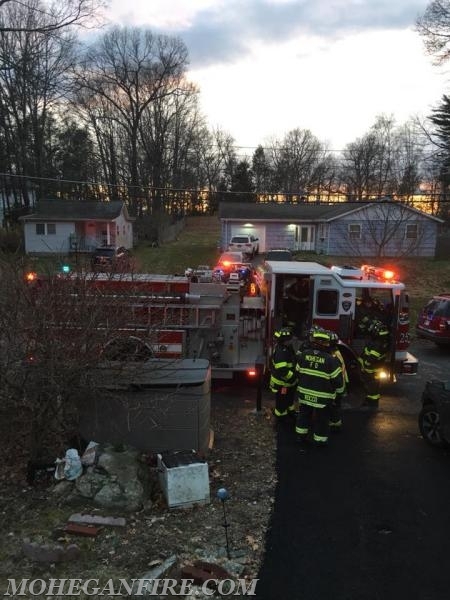 Units operating were Car 2263, 2267, Engine 257, Ladder 10, Ladder 35, Utility 18 (acting Rescue 32), Utility 80 along with the Yorktown Police Department. All units cleared the scene by 8:05pm. Units: Car 2263, 2267, Engine 257, Ladder 10, Ladder 35, Utility 18 (acting Rescue 32), Utility 80 along with the Yorktown Police Department.